A relaxed, contemporary style, the KEYHOLE top has large keyhole feature in the back, scoop neck at front and flattering cutaway armholes. Perfect for class, for casual performance or just for everyday wear. 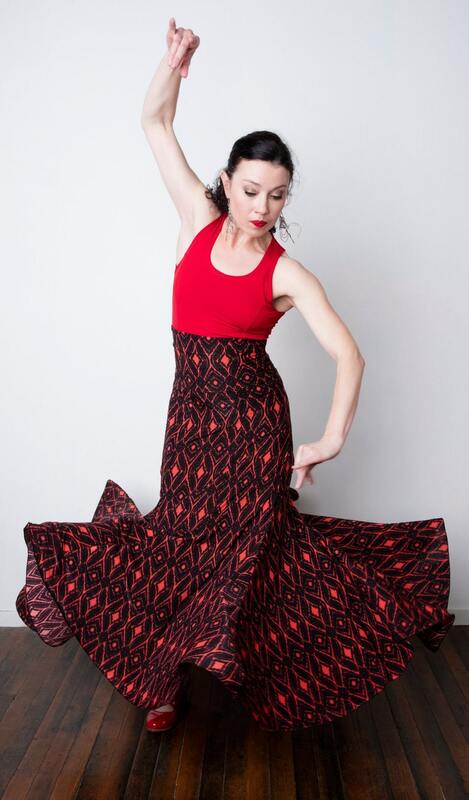 Shown here with PRIMAVERA skirt and FISHTAIL skirt with red and black diamond pattern.